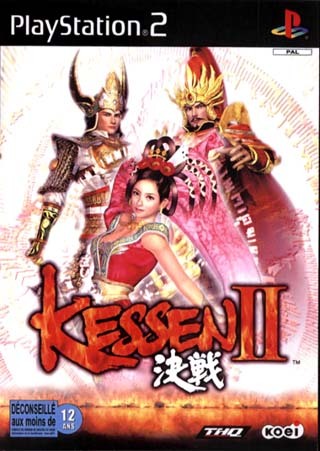 "Kessen II - Love, War & deadly Magic"
The popularity of Kessen for the Play Station 2 made Konei think twice as hard in releasing a worthy sequel. Kessen II is set in ancient China and is steeped in mythology. Konei have successfuly brought together might and magic with almost movie-like plotlines of romance and victory. With the addition of magic into the Kessen engine, the game has become aweinspiring with earth-shattering special effects. 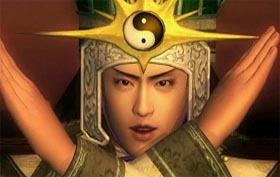 The storyline of Kessen II involves the hero Liu Bei who has waged war on the evil Warlord Cao Cao in order to reclaim his lost love, Diao Chan from his evil grasp. However in order to archive his victory, he must first secure the mandate of the heavens and save the lands of China from the Warlord Cao Cao. 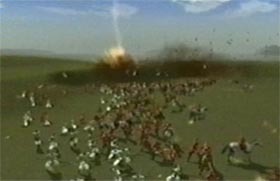 The gameplay of Kessen II revolves around stunning movie cinematics and epic battles with you as their strategic leader. The cinematics of Kessen II are beyond spectacular with beautifully pre-rendered and real-time cut-scenes. Kessen II is very story orientated and between battles you are greeted with small cutscenes to help progress the story. The in-game graphics, although sometimes repeatitive are pleasing on the eye. Unfortunately, alot of characters (such as the soldiers) seem to have been cut and pasted into the game, with not much effort on animation. Fortunately, the speical effects for magic do make up for this oversight the developers seem to have missed. Combat is very similar to Kessen, however in Kessen II you can control a variety of main characters when engaging in battles. As with Kessen, you are greeted with a variety of combat formations & troop movements, plus you can control the main character when a battle ensures. This option lets move through a real-time battle freely and engage in small skirmishes. A great addition to the Kessen engine! Overall, this game is probably not recommended to the die-hard strategy gamers as Kessen II has been simplified from Kessen. Koei have tried to make the game into a full-length movie and have almost succeded. The welcome addition of magic into the game has helped keep the game fresh and addictive. I would recommend this game to everyone who enjoyed Kessen and for those seeking a game similar to Dynasty Warriors but with more strategy. Recommended!